Mummy Hearts Money is sharing 13 memories of my biggest little girl, in tribute to her 13th birthday this month. Most of these stories are "Have to be there" kind of memories, but I love them, they make me smile. 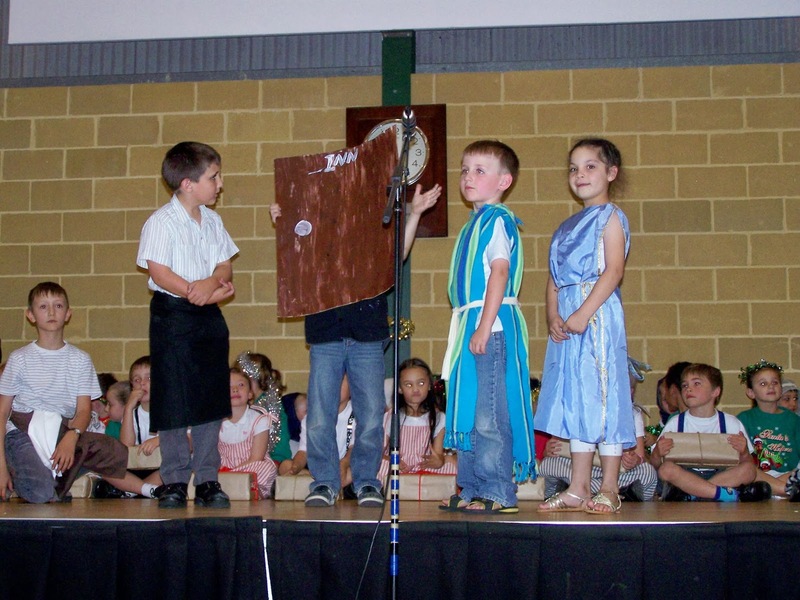 When Maddy was in Year 2, she was chosen to be Mary in the junior school Christmas pageant. This was a big deal. Mary. Not sure if you know the good old Christmas story, but without Mary, there is no story. It's a pretty pivotal role. I think she may have even had a line. Some lucky kid had the joy of being the stable door. That's right. The door. As the story goes, Joseph and his preggers wife are trotting about town, banging on doors and being turned about. When they reach the stable door, Joseph gave it a good hard bang, sending the poor door staggering back a few steps. At first they were turned away, but Joseph has a wife in labour for heavens sake, so he bangs again. Hard. Really hard. Well the stable door had had jack of his part and stuck his head around to tell Joseph off a little. A small argument ensued on stage with the door eventually pulling his head back in and getting back in part. Quietly. Maddy was adorable. When she spotted me hunched in the middle of the aisle with my camera she happily dropped out of part to give me a big grin. There may have even been a little wave. She was adorable and it was the first of many plays she was to be in over the years. The only time she's had a lead role though.